As a martial artist, you learn to physically defend your personal space (if you need to). However, are you as conscious of other people and their personal space? True martial artists…no, true leaders…know how they respond in certain situations, as well as how others may respond. When you are aware of others at all times, you are not locked into a rigid way of responding. You can deal with the needs of any situation in a number of ways, as you are learning the right response via your training. That is a tremendous gift, i.e. 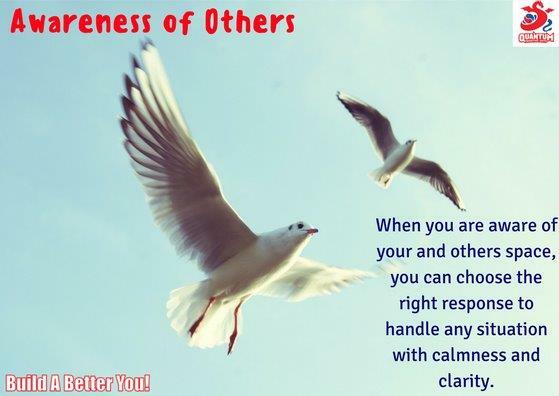 being able to handle any situation with calmness and clarity. Always respect others and behave with good manners. If you like this blog, please feel free to share using the buttons below.